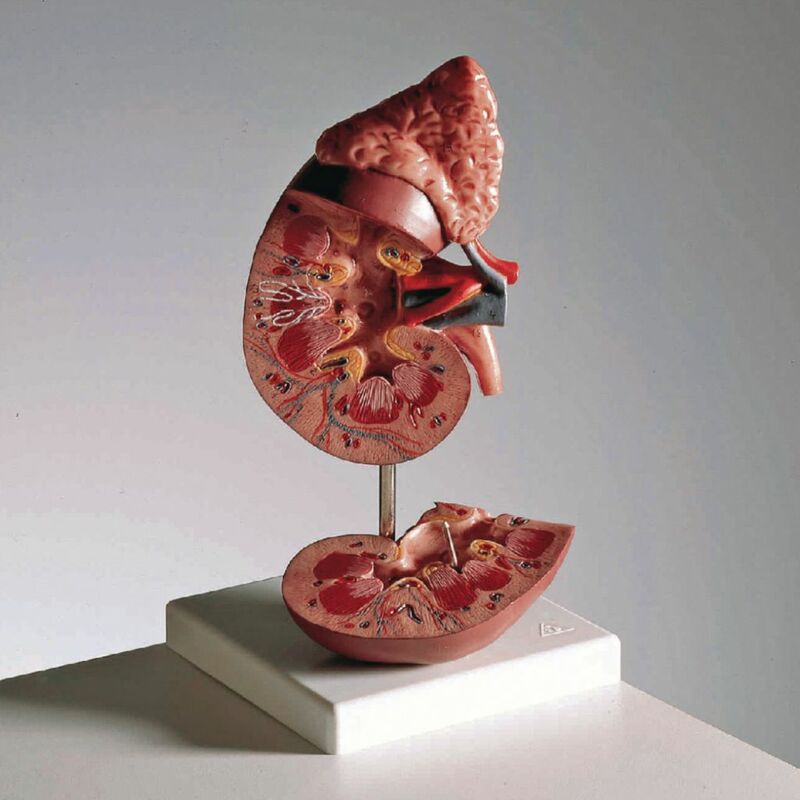 This life-size, realistic model of the kidney includes adrenal glands. The detailed model is perfect for showing students the exterior and interior structures of a human kidney and adrenal gland such as the renal and adrenal vessels and the ureter. Users can remove the sagittally sectioned front of the model to reveal the medulla, calices, and cortex. The two-part model is mounted on a stand and can be removed for closer examination.